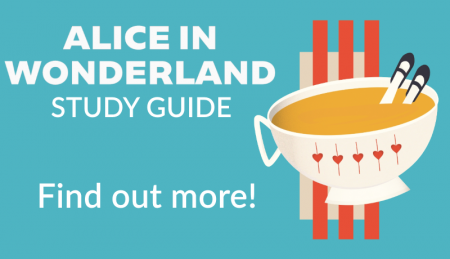 You don’t have to be a teacher or student to enjoy the study guide we created for Alice in Wonderland! Get the scoop on who does what to create the show, read an exclusive interview with Director Candice Burchill, and see two of the beautiful costume vision boards created by Costume Designer Carina Lopez! Plus, who doesn’t love a maze?